Monday Accidents & Lessons Learned: Where Did We Put the Departure Course? Have you ever encountered a new methodology or product that you deemed the best thing ever, only to discover in a too-close-for-comfort circumstance that what seemed a game changer had a real downside? In aviation, the Electronic Flight Bag (EFB) is the electronic equivalent to the pilot’s traditional flight bag. It contains electronic data and hosts EFB applications, and it is generally replacing the pilots’ conventional papers in the cockpit. The EFB has demonstrated improved capability to display aviation information such as airport charts, weather, NOTAMs, performance data, flight releases, and weight and balance. The EFB platform, frequently a tablet device, introduces a relatively new human-machine interface into the cockpit. While the EFB provides many advantages and extensive improvements for the aviation community in general and for pilots specifically, some unexpected operational threats have surfaced during its early years. NASA’s Aviation Safety and Reporting System (ASRS) has received reports that describe various kinds of EFB anomalies. One typical problem occurs when a pilot “zooms,” or expands the screen to enlarge a detail, thereby unknowingly “slides” important information off the screen, making it no longer visible. 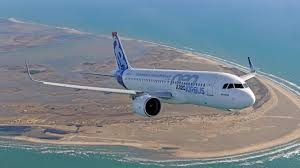 An Airbus A320 crew was given a vector to intercept course and resume the departure procedure, but the advantage that the EFB provided in one area generated a threat in another. CALLBACK is the award-winning publication and monthly safety newsletter from NASA’s Aviation Safety Reporting System (ASRS). CALLBACK shares reports, such as the one above, that reveal current issues, incidents, and episodes. Circumstances can crop up anywhere at any time if proper sequence and procedures are not planned and followed. We encourage you to learn and use the TapRooT® System to find and fix problems. Attend one of our courses. We offer a basic 2-Day Course and an advanced 5-Day Course. You may also contact us about having a course at your site.